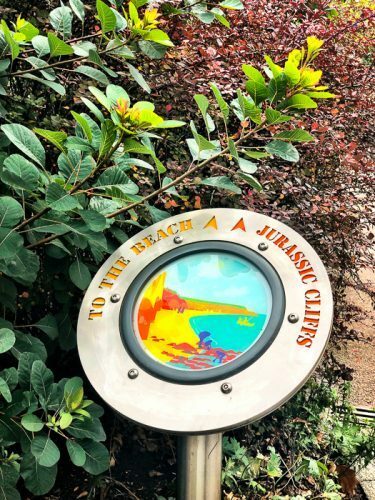 Located on the south-east coast of Devon, Exmouth is where the River Exe hits the sea and is the gateway to the World Heritage Jurassic Coast. 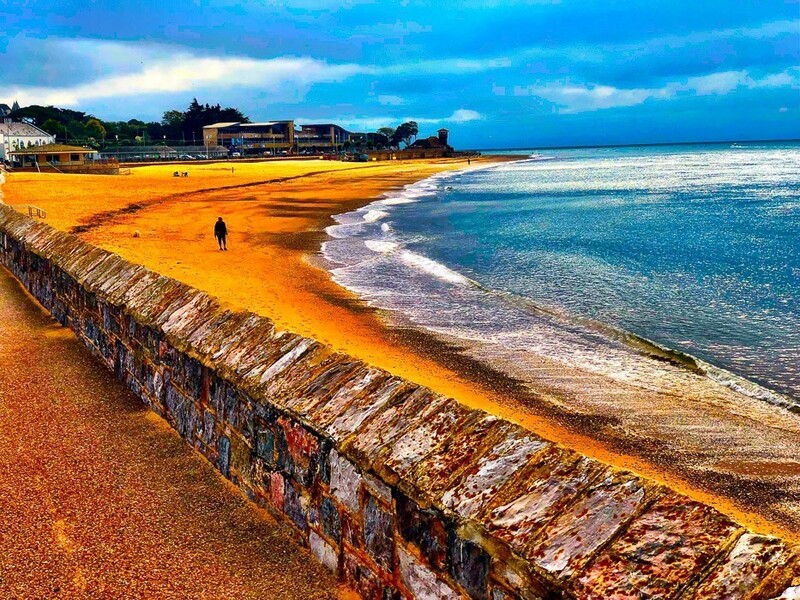 This small town is quite picturesque, particularly on its coastline. Due to its location on the Exe River, the key activities in the area tend to be water based. 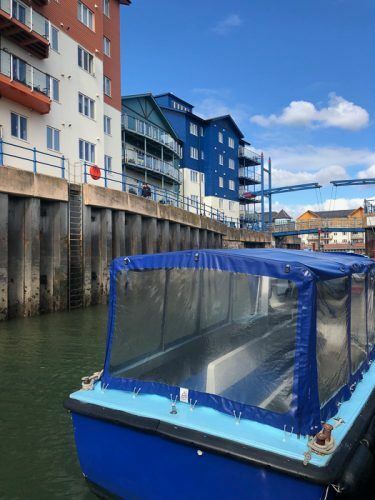 Taking a boat trip is the best way to see the River Exe and the lovely Jurassic Coastline. 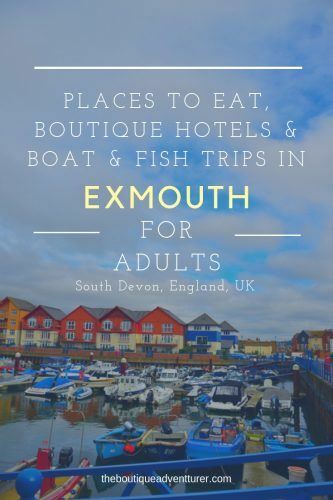 The closest major city to Exmouth is Exeter, the second biggest city after Plymouth in Devon. Exeter is an international airport so it is possible to fly their directly from many cities in Europe. If you’re headed to Exeter and love your coffee don’t miss my post on the 6 Best Exeter Cafes. The easiest way to get from Exeter to Exmouth is by train. The journey takes about 35 minutes. 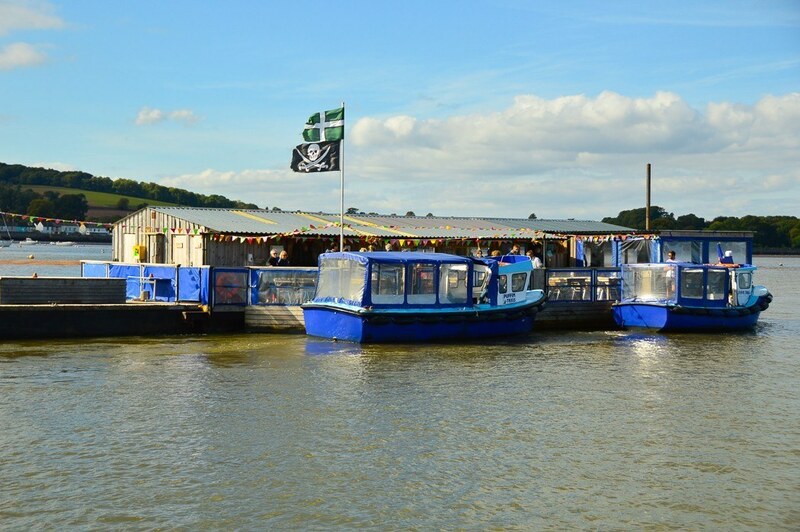 The classic option is the 1-2 hour River Exe Cruise. This is a 6 mile circular tour that covers the history and wildlife of the River Exe. Waters will be calm and there are some great views. 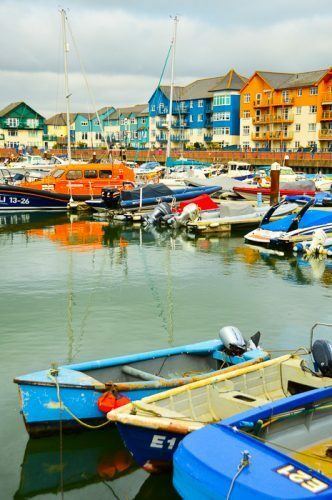 The other short option is the Mini Coastal Cruise which serves as an introduction to the Devon Coast. If you have a bit more time the Jurassic Coast Cruise sails along England’s only Natural World Heritage Site and takes 2-3 hours. 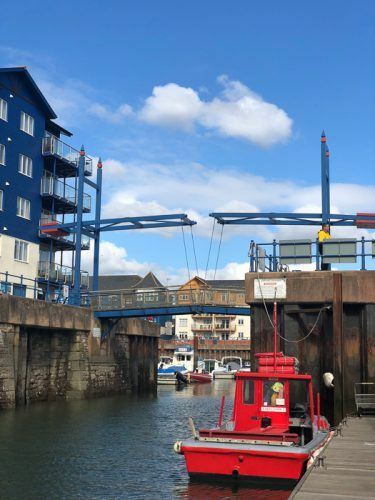 The Exeter Canal Cruise departs from either Exmouth or Exeter and sail’s the UK’s oldest ship canal over about 2.5 hours. Full day trips are offered on Thursdays that go to either Torquay, Sidmouth or Brixham, often with dolphins on the way! Joint Packages are also on offer where boat trips are combined with different types of train trips. There are then a number of different special event cruises. These include everything from the Fish & Fizz Friday cruise to Summer Air Shows to Sailing with Santa come Christmas time! The main operator for an Exmouth Boat Trip is family business Stuart Line Cruises. Their boats have both covered and heated areas as well as plenty of seating outside – including an open top deck. There is a licenced bar, soft drinks and hot drinks – and toilets. They operate come rain or come shine and you can even bring your dog! 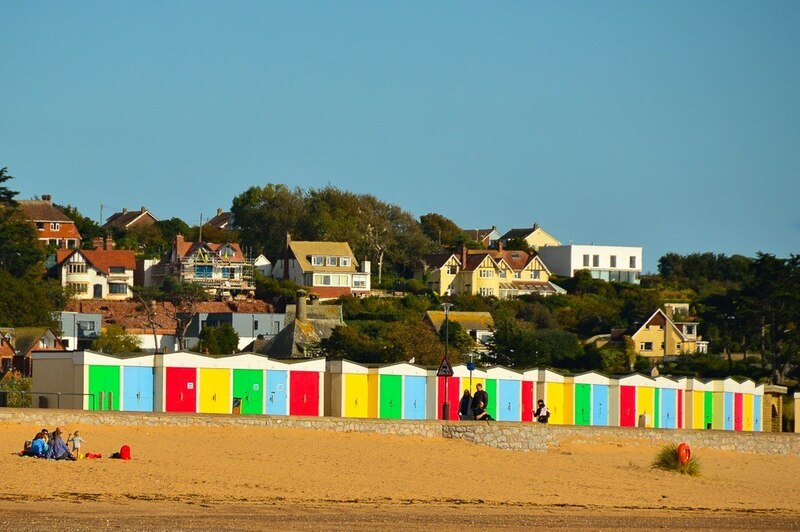 love a colourful beach hut! If you are driving pop EX8 1DU into your sat nav. There is limited parking on the side streets. 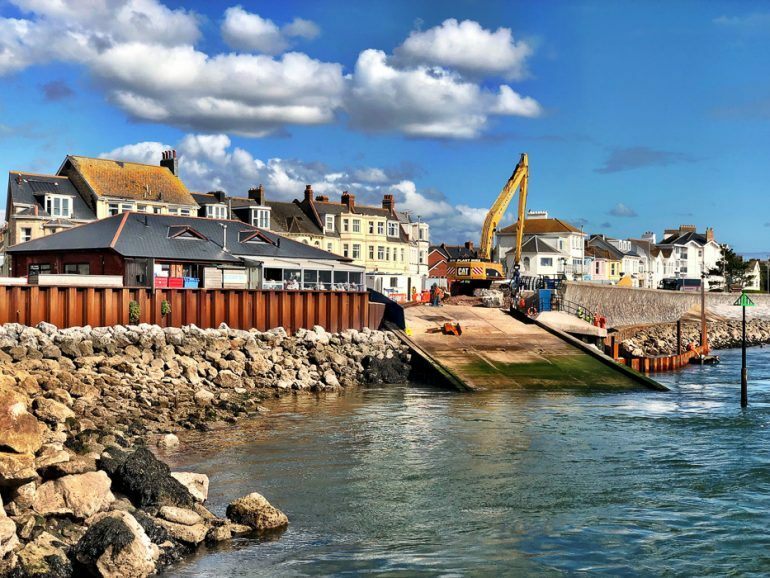 There is short pay and display parking along the Exmouth seafront or try long stay parking at the Exmouth Quay Car Park which is only a one minute walk. If you have arrived by train it is a decent 10 minute walk. The booking office is the place to pick up your boarding passes. 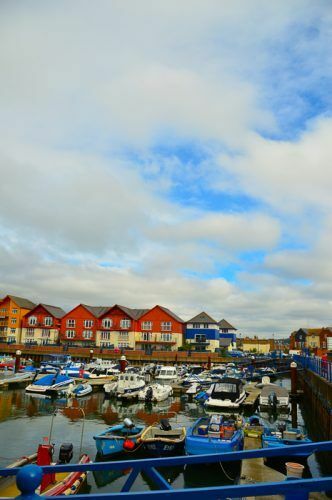 This office is located on corner of the newest Marina development “The Point”, directly opposite The Beach Pub. Exe Fishing is the key company offering fishing trips in Exmouth. Their ship is called the Southern Angler and has been operating for ten years. Their prices include fishing equipment, tackle and fish preparation. There are trips on offer for beginners through to experienced fishermen. Non-fishermen are also able to join the trip. There is no shelter on board so it is essential to dress appropriately. There are some light refreshments and there is a toilet. Dogs are also welcome on these tours. Best of all you can keep everything you catch and they will gut and prepare your catch for you! Mackerel Fishing Trips last for 2 hours. These are the best option for beginners. Reef Fishing is 3 hours. This is probably the next step up from the Mackarel trip but can still be taken by beginners. For serious fishermen head out on the Deep Sea Fishing full day trip. As it is a full day trip it is a good idea to take a picnic. Exe Fishing run trips between May and October. The fishing trips set off from Queens Drive on Exmouth Seafront, opposite Exmouth Amusement Park. There is a pay and display car park opposite. Alternatively, you could park at Maer Road Car Park (EX8 2DB) and catch the Exmouth Land Train to us, as they are stop number 3 that leaves at the top of the hour. Another fantastic area on the coast not too far away is Weymouth. 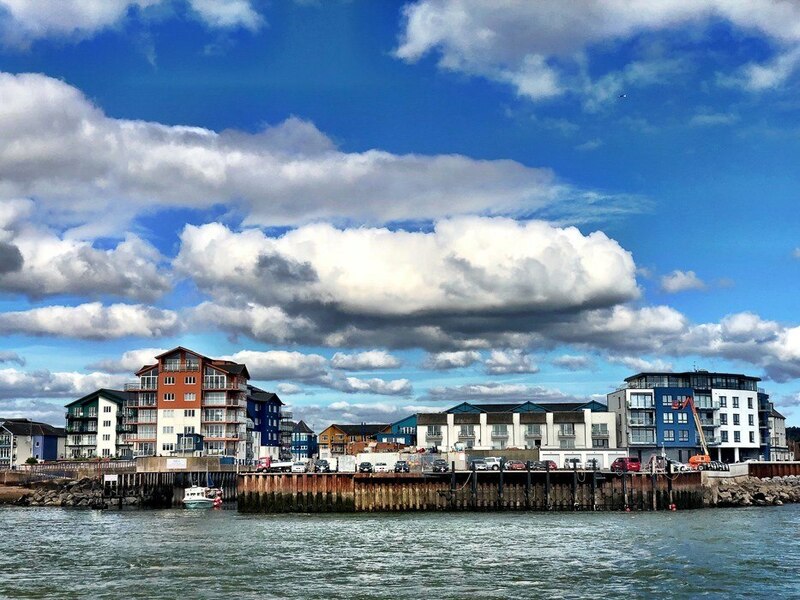 Check out this post on 50 Unique Things to do in Weymouth to find out more. 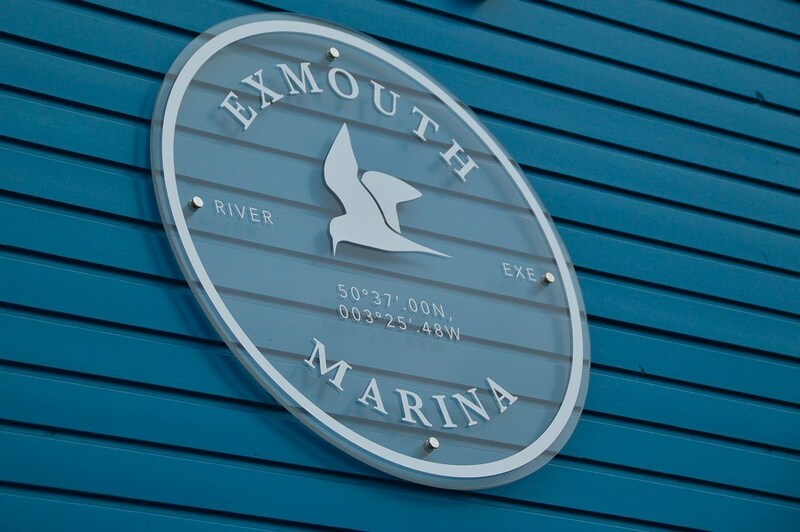 If you are travelling by train from Exeter, the meeting point a 20 minute walk from Exmouth Train Station or you can catch the number 95 bus from the station and jump off opposite the Exe Fishing booking office. There are some hotels in Exmouth but I am not sure any would be classified as boutique. However, the news is not all bad. 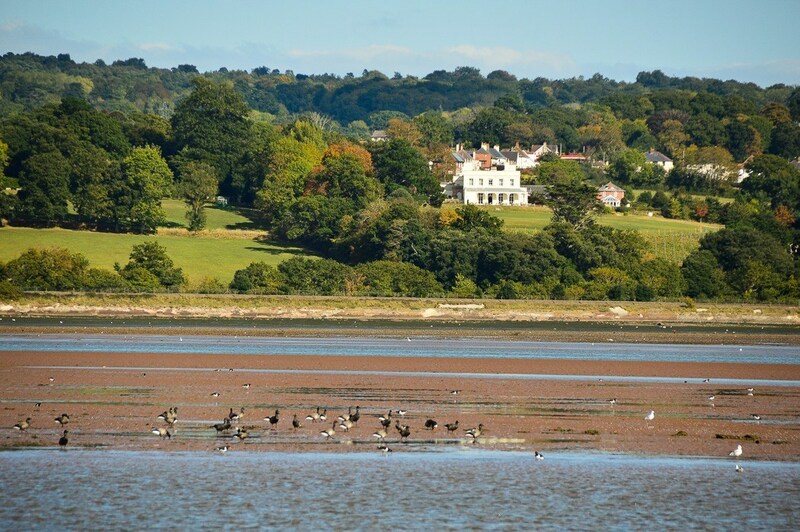 The absolutely stunning Lympstone Manor is only 6 minutes away from Exmouth by road! 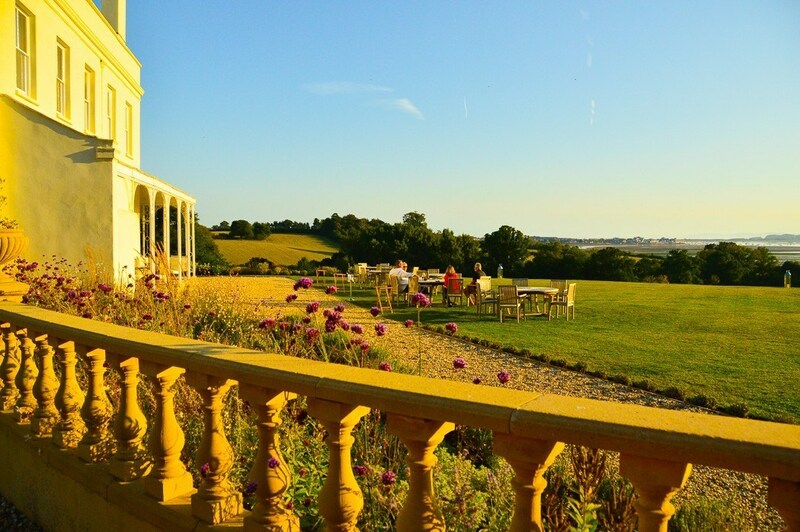 Lympstone Manor is the creation of world-renowned British Chef Michael Caines. Michael not only held 2 Michelin stars (Lympstone Manor already has one) consecutively for 18 years he also has an MBE. 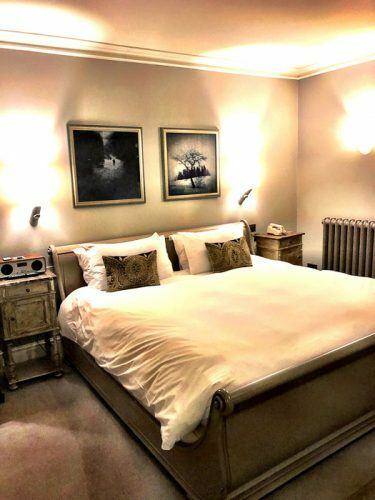 Michael was born and raised in Exeter and Lympstone Manor represents the creation of a dream for him. It is his vision of a country house for the 21st century. The Manor has 21 guestrooms and suites, 28 acres of garden and 108 acres of vineyards down to the River Exe. The views of the river from the Manor are glorious. Each room is uniquely designed and named after a bird of the estuary. The design is modern decadence and beautifully done. Rooms also feature complimentary gin trays, GHD hair straighteners and a Nespresso machine – love the little details! My favourite rooms were the ones that have an actual outside bathtub on their private terrace – so wonderfully decadent! 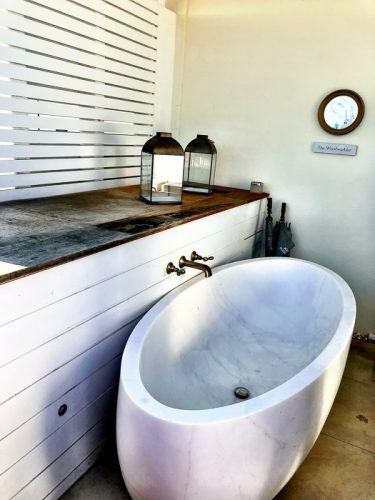 Loving the outdoor bathtub at Lympstone! 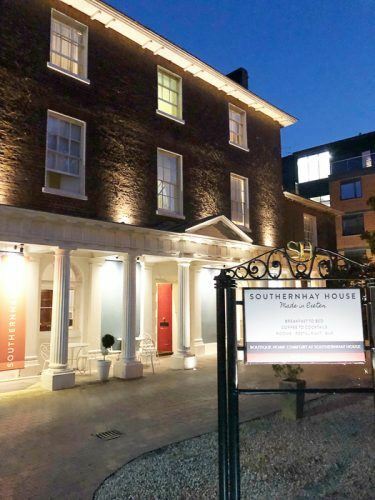 Another fantastic boutique hotel option is Southernhay House in Exeter. This independently owned townhouse has just 10 luxurious bedrooms and is located very close to the Exeter Cathedral. Luxury toiletries, first class beds and quality linen are all on offer. Southernhay House also has an excellent restaurant with a menu full of locally sourced and seasonal items. There is al fresco dining when the weather suits. 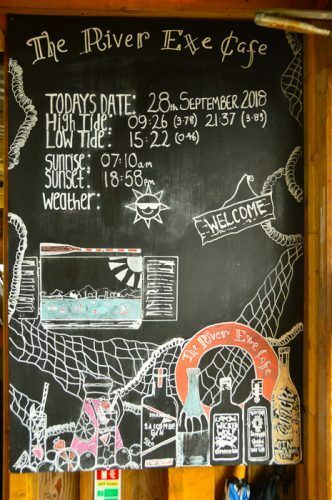 Add to this an outstanding bar with a great cocktail menu and this is my kind of boutique hotel! 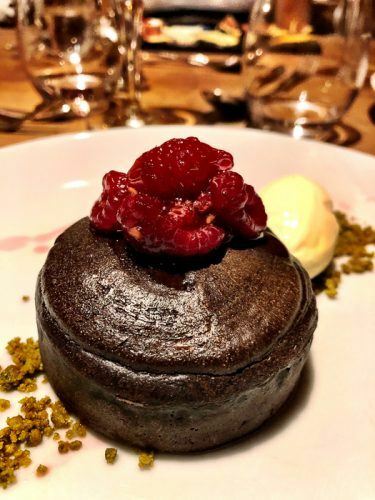 The decadent place to eat in Exmouth is just outside the town – lovely Lympstone Manor of course! The Manor serves 3 different dinner menu options. There is a 3 course A La Carte option, the Signature Tasting Menu or the Estuary Tasting Menu. The Signature and Estuary Menus also come with a wine pairing option. Unsurprisingly the menu features the fantastic ingredients of the south-west region. When I visited the menu included Exmouth Crab, Cornish duckling and Darts Farm Lamb. The menu, of course, changes frequently. If you are unable to get a dinner booking Lympstone Manor also serves afternoon tea. Click here to Book a Table at Lympstone Manor. The other fantastic eating option in Exmouth is the River Exe Cafe. This unique cafe is located on a boat in the middle of the River Exe. Therefore, the only way to get there is via a Puffin water taxi from Exmouth Marina – or your own boat of course! The restaurant itself is wonderfully decked out in a boutique style fishing boat theme. I just loved this restaurant! Such a unique – and delicious which I will get to in a moment – experience! The cafe is on a custom-built barge that floats in the Exe Estuary. They call themselves Devon’s only floating Gastro Shed! 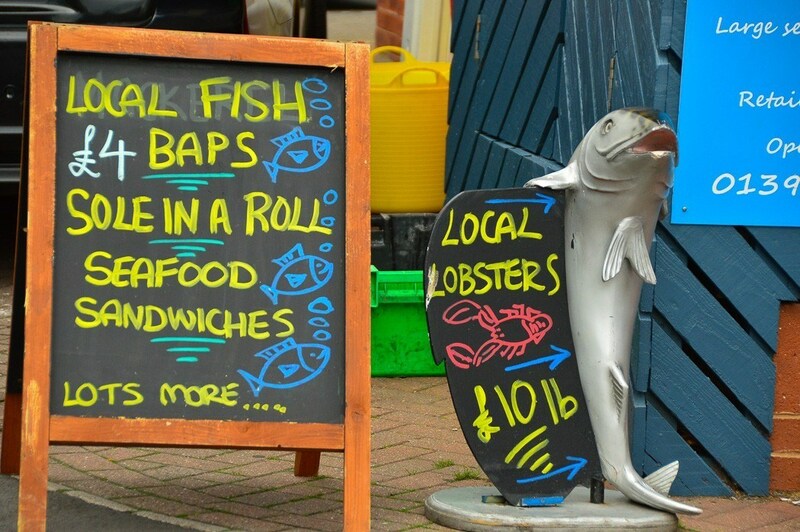 They, of course, source locally and the menu is a seafood extravaganza. There is a wonderful list of all the local suppliers with whom they work on their website – all the way to the ice cream! 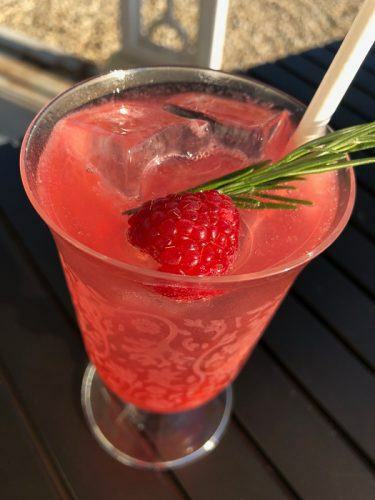 There are 6 options on the Mussel Bar menu, whole crab, seafood sharing platters, all the classics, a kids menu, beef and burgers, delicious sides, vegetarian options – I can’t imagine anyone not finding something they would like to order on this menu! The food was fantastic. I must highlight the mussels. I am not normally the biggest fan of mussels but these ones tasted so fresh and the sauces/soups they came with were just so full of flavour. Everything we ate was delicious and I highlight recommend also ordering one of the seafood platters to get a taste of many of their offerings. 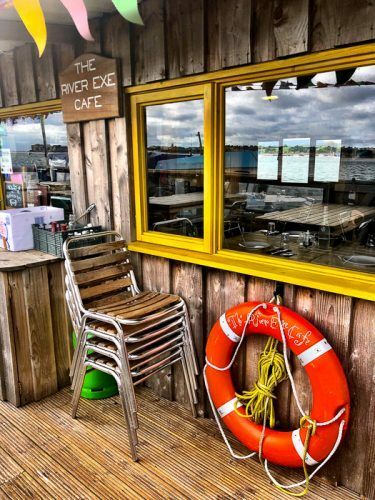 The River Exe Cafe is open from April 1 to September 30 each year. 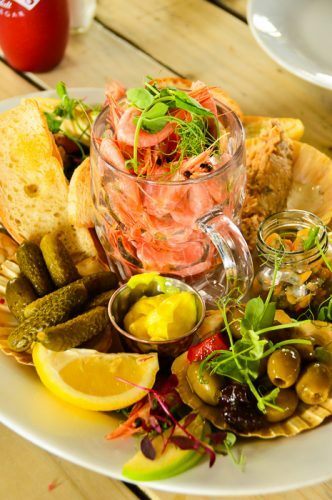 Click here to Book a Table at the River Exe Cafe. Like this Post? Why No Pin It? Thanks so much Danny! I highly recommend heading to Exmouth with your fishing rod! I will love to go for this boat trip & obviously for fishing. I’m in wonder to find such kinds of thrilling idea. Just awesome. God bless & good luck.